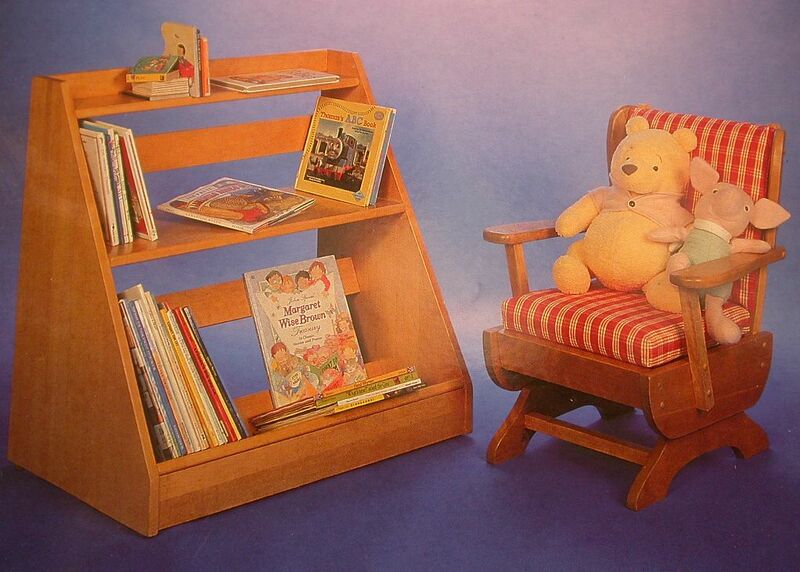 Our first two pieces of furniture are a rocker and a bookcase. The rocker is a cross between a rocker and a glider. Two springs under the seat attach the base to the chair part - no more pinched toes under the rockers. The chair is made of hardwood using mortise & tenon construction. It is currently available as a ready-to-assemble kit. The bookcase shelves have a strong tilt backward tilt, making it virtually impossible to tip the bookcase over.